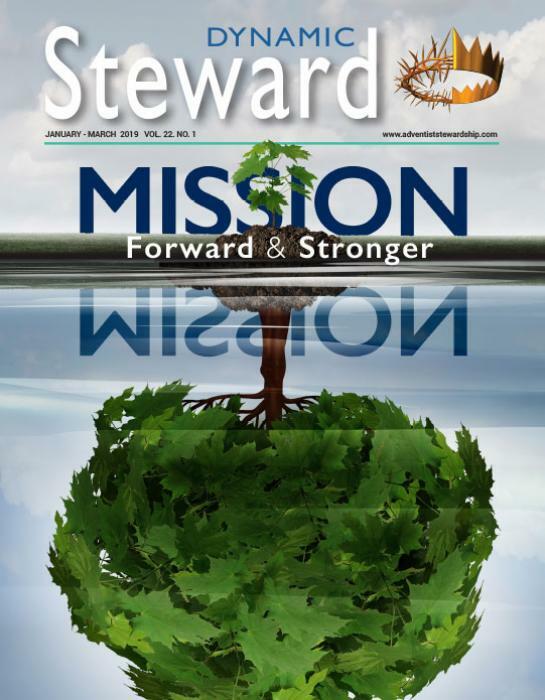 Adventist Stewardship | Do You Really Need What You Want? Do You Really Need What You Want? In the Sermon on the Mount, Jesus says: “ ‘Do not worry about your life’ ” (Matt. 6:25, NIV). This phrase pronounced by Jesus is an imperative, indicating that His followers are constrained to obey this command. It is an obligation. In the Sermon on the Mount, Jesus says: “ ‘Do not worry about your life’ ” (Matt. 6:25, NIV). This phrase pronounced by Jesus is an imperative, indicating that His followers are constrained to obey this command. It is an obligation. However, it is important to be constantly reminded that a divine command is also a divine promise. When God commands Joshua to “be strong and courageous” (Joshua 1), He is actually making the following promise: Because I am with you, you will be strong and courageous. Similarly, Jesus is saying: You should not be worried, because my Father will take care of your needs. Our heavenly Father provided food for the widow of Zarepthath. For the Israelites in the desert He provided manna from heaven (Exodus 16) and water from the rock (Numbers 20). Jesus fed the 5,000 (Matthew 14). God, who is the same yesterday, today, and forever, will continue to provide for His children in miraculous ways. To remain faithful to His promise God provides us with financial resources. But still, many who would say that they believe in God’s promises, cannot stop worrying and consequently suffer from financial stress. Financial stress is the negative feeling that one will not have sufficient funds to meet the needs and necessities of life. This is mainly the result of not having a clear and precise picture of how one’s money is being used. As a matter of fact, it is important to understand that financial stress is not a result of God not keeping His promise, but rather a lack of good financial behaviors that keep one from enjoying God’s blessings. In other words, financial stress is a repercussion of bad financial behaviors, which in turn is the cause of various other problems, such as depression, insomnia, alcohol consumption, suicide, divorce, child trauma, and juvenile delinquency. Budgeting is thus a decision-making process that will enable you to choose the best possible alternative. One very common bad financial behavior is the avoidance of budgeting. If you want to make good financial decisions, the most basic and probably the most efficient tool is to create and follow a budget. Such a practice will hold you accountable on where the money that you are earning is going, and it will help you to take control of your finances and to see that God truly and infallibly remains faithful to His promises. Budgeting is thus a decision-making process that will enable you to choose the best possible alternative. There are two important elements that need to be taken into consideration in “budget decision making”: the gathering of facts and one’s own judgment. 1. Do I really need designer clothes this time, or can I content myself with just regular clothes? 2. Do I really need unlimited data on my phone, or will 10GB per month be enough? The next step would be to include besides each item its corresponding amount. For this, you will need to examine all your previous expenses. This will help you to obtain a true picture of reality and to use figures that are as accurate as possible. For example, the best way to obtain a good estimate of what your electricity bill would be is to calculate the average cost of the last 3 to 4 months bills. For items that you would consider as being partly a need and partly a want, make sure that the corresponding amounts are clearly identified, as illustrated in the table below. Most experts would recommend that in your savings/emergency fund there should be at least three months worth of living expenses. A good budget should include a line for unknowns. This is basically an amount of money put aside for emergencies. An emergency situation may arise due to serious illness that is not fully covered by your insurance, a car crash or when someone loses his or her job. We will call these unknowns on our budget a contribution to savings/emergency fund. From the above example, we find that the monthly ($3,500) less the ($2,900) gives an apparent surplus of $600. This apparent surplus will now give you the choice to either use that money toward your wants or toward a savings/emergency fund. This is where you will have an important decision to make, and where your judgment will come into action. Most experts would recommend that in your savings/emergency fund there should be at least three months worth of living expenses. Living expenses are defined here as the items you would have to continue to pay for even if, for example, you lose your job. Based on these figures, the required savings/emergency fund would be $4,950 (3 x $1,650). For someone who currently doesn’t have any savings, and based on the $600 apparent surplus (from the above example), it will take him or her eight to nine months to build this fund, assuming that the total surplus ($600) is kept in a savings account. However, I would personally advise that you do not take more than 12 months to build your savings/emergency fund. As mentioned above, there will be the temptation to use the apparent surplus ($600) for the ($630). In order to avoid this situation, it is primordial that you always include the savings/emergency fund (unknown) as a budget line. However, once your savings/emergency fund has reached the minimum required amount, it is strongly recommended that you continue to increase it, but this time you will have more flexibility to use part of your surplus toward your wants. What if your needs exceed your income. The first thing to do would be to go back to Step 3 and to look for the items currently classified solely as needs that could be eventually split into partly needs and partly wants. For example if the amount you spend monthly on gas is $120, you should now look closely to see if there are some unnecessary trips that you could avoid for you to be able to save on gas. After this analysis, you may find out that gas can be reclassified as say, $90 (need) and $30 (want). The same step should be done for other items as far as possible. Another alternative would be to increase your income by probably finding a different job. If your mortgage/loan repayments are pretty high, you should think of talking to your banker for a refinancing. Although learning how to make and follow a budget is not the only element of financial literacy, it is by far the most important one. It is essential that each and every person not only takes this process seriously, but that they do it prayerfully, asking for God’s guidance and wisdom. Budgeting will not only keep us from being financially stressed, but it will also help us to remain faithful to God and to support His mission with the resources that He has blessed us with. Murvin Camatchee (MBA, MDiv) is a native of the Republic of Mauritius. He is currently the Lead Pastor of the College Drive and The Ridge SDA churches in the Gulf States Conference, USA. Prior to coming to the United States, Murvin was the Treasurer and Executive Secretary of the Mauritius Conference.